It's usually quite easy to figure out what drinks are "manly" and which are not. For most people, if it's a dark spirit alone in a glass then it's manly and if it's brightly colored then it's not. To me, "manly" usually means spirit-forward. "Unmanly" drinks are usually brightly colored because of the addition of a lot fruit juice, which means the drink is no longer spirit-forward and likely not well balanced. No matter how you classify a drink, it should be well balanced. 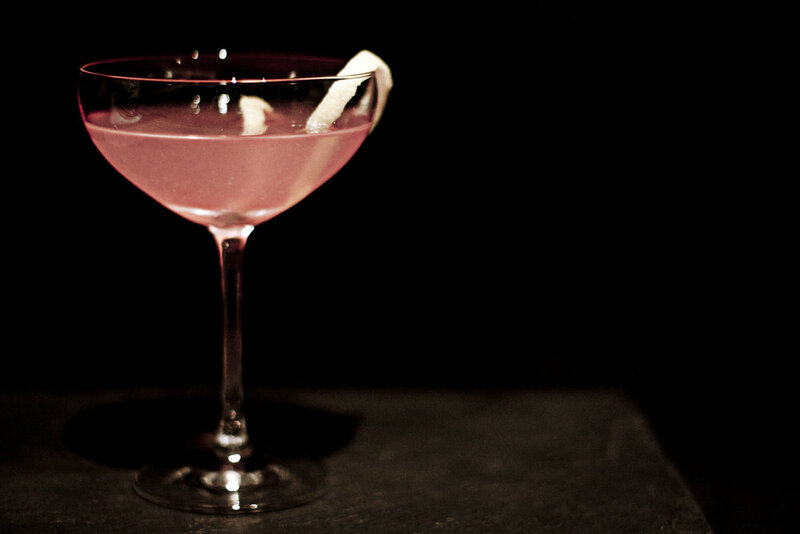 The Aviation is one of those rare cocktails that is well balanced, spirit-forward, and brightly colored. Drinkers of all tastes will love this one! Add all ingredients to a shaker with ice. Shake well. Strain into a coupe or lowball glass. Serve up with a lemon peel for garnish. This drink is notoriously difficult to balance. An Aviation can end up too tart because of the lemon juice, too sweet because of the violet and maraschino liqueurs, or too floral because of the violet liqueur. So why go through the trouble? If you are a gin drinker then this will be your new favorite; and if you do not like gin then this may be the drink that finally converts you! The above recipe is as close as I have gotten to a perfectly balanced drink. But feel free to tweak it to your tastes. And don't let the pale pink color fool you! This is a drink will bridge the gap between the scotch neat guys and the cosmo girls. A few final notes. Crème Yvette is the violet liqueur that I prefer. It is made of dried violet petals, blackberries, red raspberries, wild strawberries, cassis, honey, orange peel, and vanilla. If you use another violet liqueur then you may need to tweak the recipe. Luxardo's maraschino liqueur is easily the best around. There are not too many competitors so you will likely end up with Luxardo's version anyway. Maraschino liqueur is distilled from Marasca cherries and is clear in color. I only note this because a close friend and fellow cocktail enthusiast ordered an Aviation at a bar inside of a restaurant that was once Michelin starred. The bartender provided him with a drink made with the syrup from a bottle of bright red maraschino cherries. As you can imagine, the drink was bright red, tasted sickly sweet of maraschino cherries, and the restaurant is no longer Michelin starred!